May MoM Night - Crazy Couponing! Durham Parents of Multiples is a non-profit organization made up of over 140 families with twins, triplets and more, providing support services for parents of multiple birth children in Durham Region. We were founded in 1979. 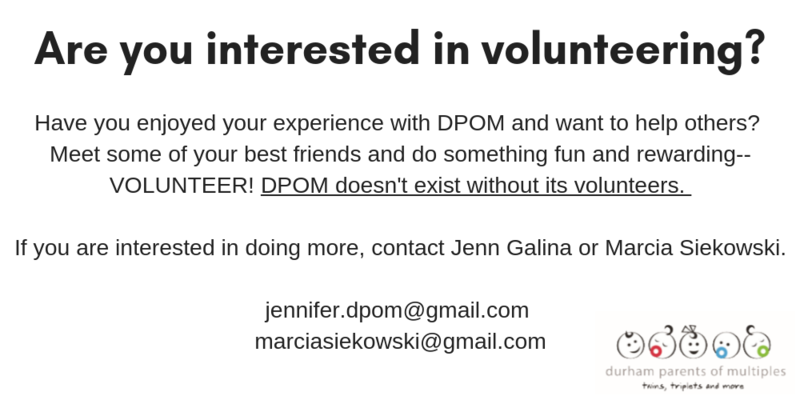 DPOM is an affiliate chapter of Multiple Births Canada, Canada’s national support organization for multiple birth families. We strive to help each other through the unique challenges of raising multiple birth children and share in the many joys. 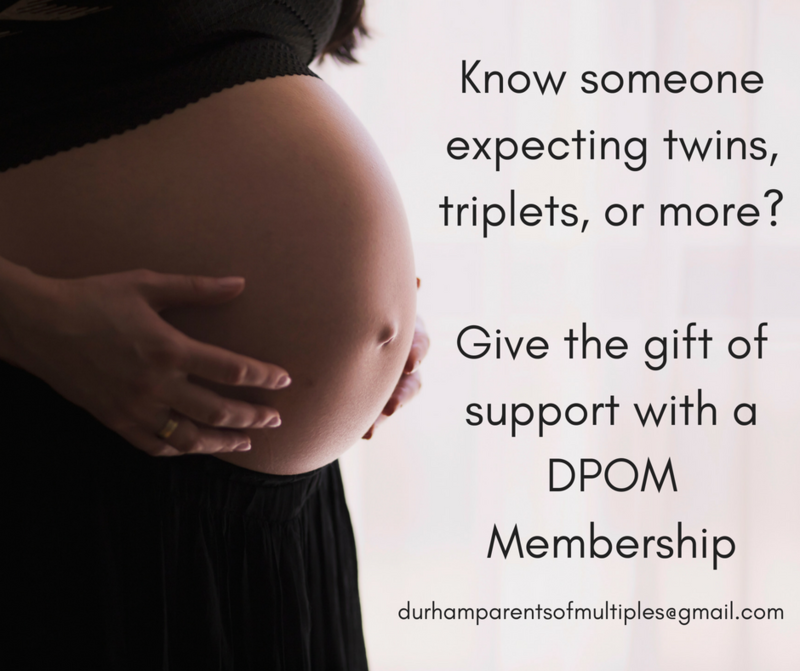 Durham Parents of Multiples (DPOM) supports families and our community through education and advocacy for multiple birth issues and, most importantly, through friendship – because only other parents of multiples can truly understand. The opportunity to connect with parents of multiples who have been there! A quarterly e-newsletter written by parents of multiples with great tips & articles. Monthly support meetings in your neighbourhood. Support from a MSV (Mother Support Volunteer) for the first year of membership and the opportunity to become an MSV afterwards. Fun family events & play dates, as well as events just for Mom and Dad. Discounts with local & national retailers. Semi-Annual Clothing, Toy and Equipment Sale. Sell your items and shop early, before the public! A lending library with resources on birthing and raising multiples. Information on multiple-birth issues like prematurity, breastfeeding for two or more, special needs, etc. 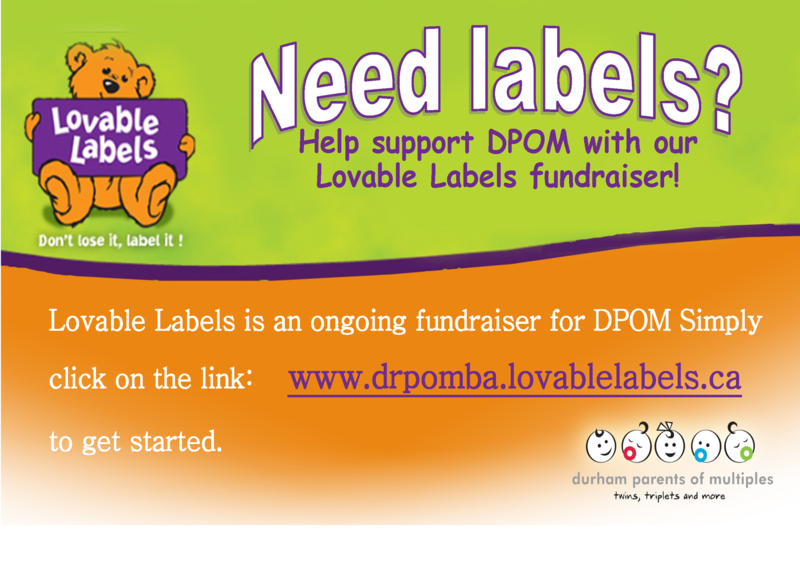 General inquiries about membership can be directed to durhamparentsofmultiples@gmail.com.